This year’s Chetham’s Carol Competition produced a real variety of choral pieces, with thoughtful texts and imaginative musical settings. The judge was Matthew Owens, a former Chetham’s student, published composer and current Director of Music at Wells Cathedral. Matthew enjoyed all the entries and was delighted with the overall standard of the competition. 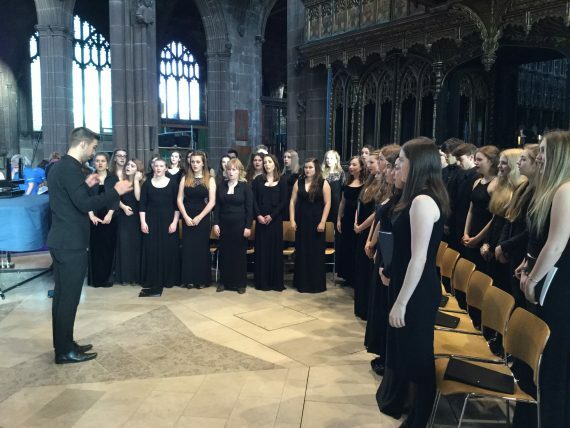 Lucy’s piece was recently performed by the Chetham’s Chamber Choir at the Light Up A Life Service in aid of St Ann’s Hospice at Manchester Cathedral.